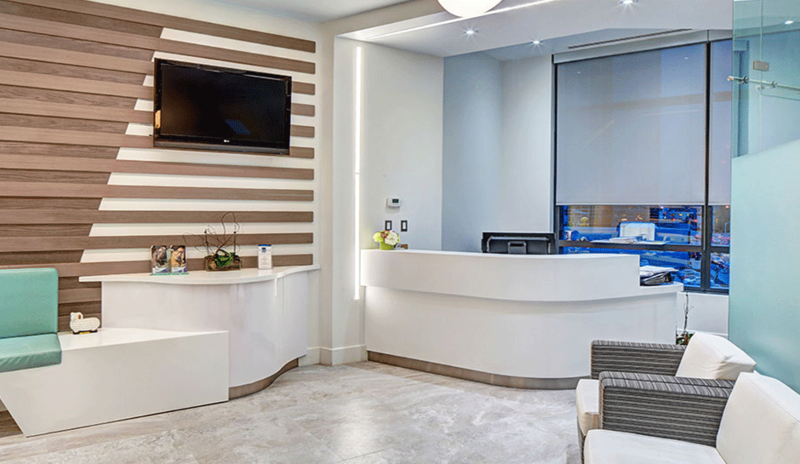 Custom KRION® Reception Desk from Capital Aesthetic+ Laser Center, Washington, D.C. 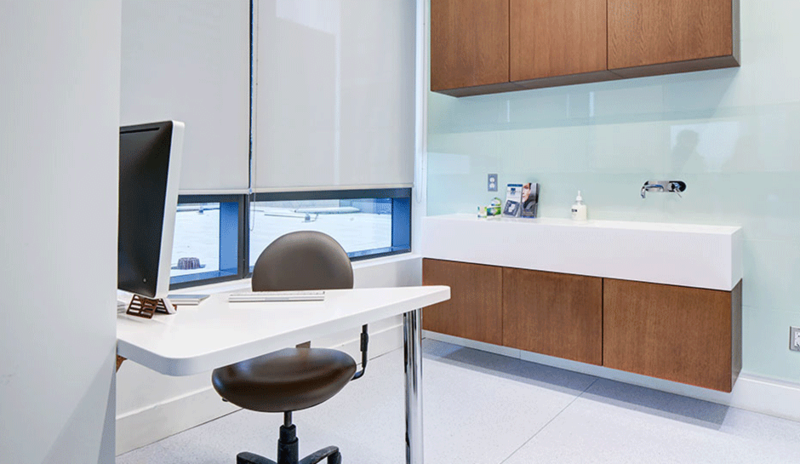 Endless décor opportunities await the contemporary designer who chooses to use KRION® solid surface products in a residence or commercial project. Porcelanosa’s KRION® is the answer for many design problems as it provides a material far superior to those in its class. KRION® is inspired by nature and utilizes an exclusive high-performance formula composed of two-thirds natural minerals. 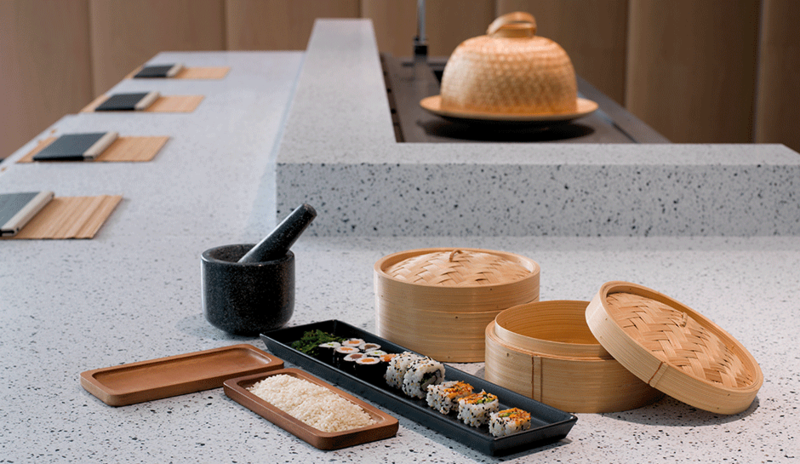 KRION® offers a unique, hygienic, germ-free environment, making it ideal for use in kitchens and bathrooms. KRION® is certified as food-grade by NSF International meaning it is recommended for use in areas that have direct contact with food. 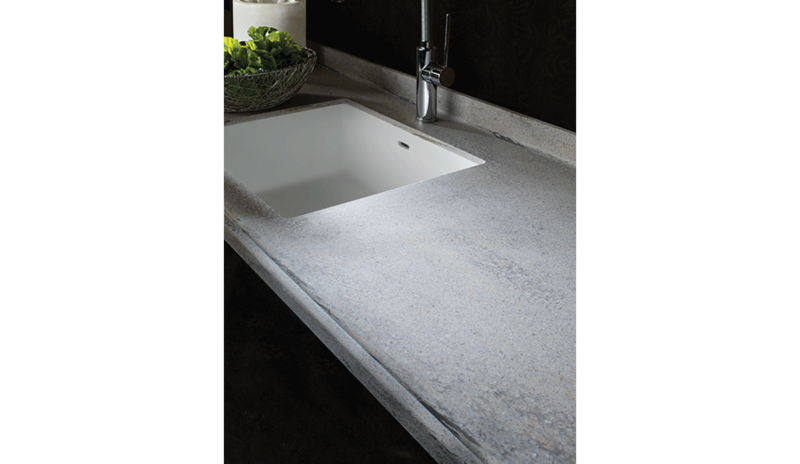 Bianco Classico is a lovely kitchen countertop with gorgeous grey, white and cream flecks of color. 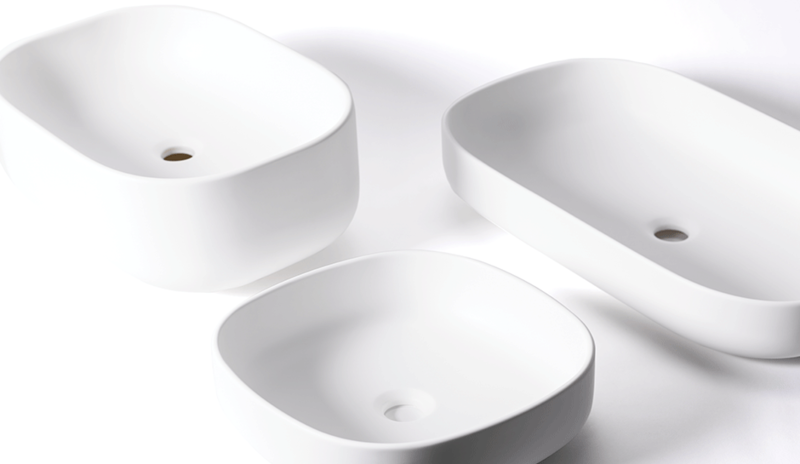 It’s also ideal in bathrooms as it offers a high performance, durable material with a hygenic, germ-free surface. Discover KRION® stools, shower trays, bathtubs, vanities and sinks in a variety of shapes and sizes. This beautiful, durable and smooth material is warm to the touch with a feel similar to natural stone. It can be thermoformed and manipulated to create almost any design. Our line of Unique Sinks can be installed in, over or under the countertop. It is ideal for countertops as it features a random veined pattern which runs throughout the entire thickness of the sheets. Like all KRION® products, Erice L902 is also suitable in sterile environments due to its lack of porosity. KRION® is also fire resistant, impact resistant and resistant to UV radiation. Rigorous quality controls ensure an optimal product designed to enhance a home or commercial space, whether used indoors or outdoors in challenging exterior environments. KRION® is able to take on unique forms as evidenced by a simple K KRION stool, towel rail or accessory holder. The ability to customize KRION® offers endless design possibilities due to its versatility and the ability to create uniform, curved and jointless pieces which is unheard of with other materials. Due to KRION®’s ability to assume unique forms, consider a K KRION Slim oval, freestanding bathtub which offers a smooth, warm bathing surface with a clean, soft, rounded form. 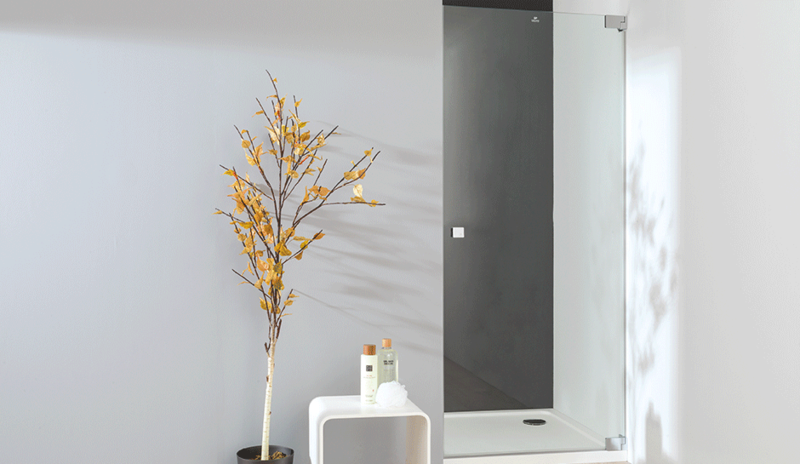 This lovely Slim tub also features an integrated overflow KRION® drain cover. 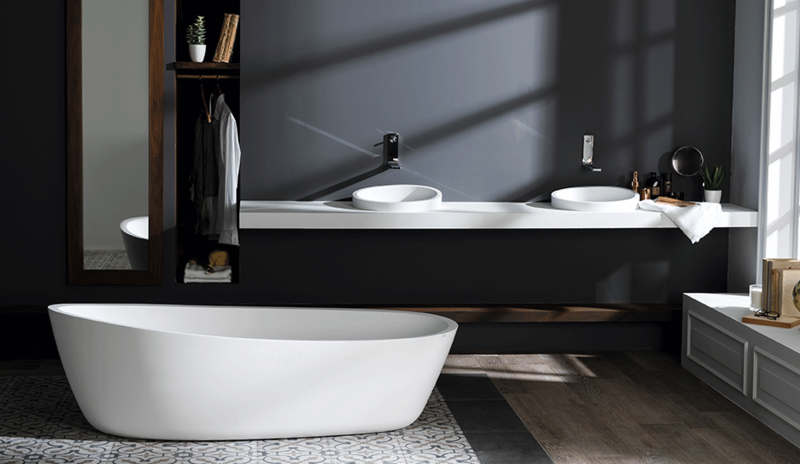 The Almond Bath is a single shell bath made of KRION® solid surface and is also available with an optional Soft Touch shell finish in white, grey or black. 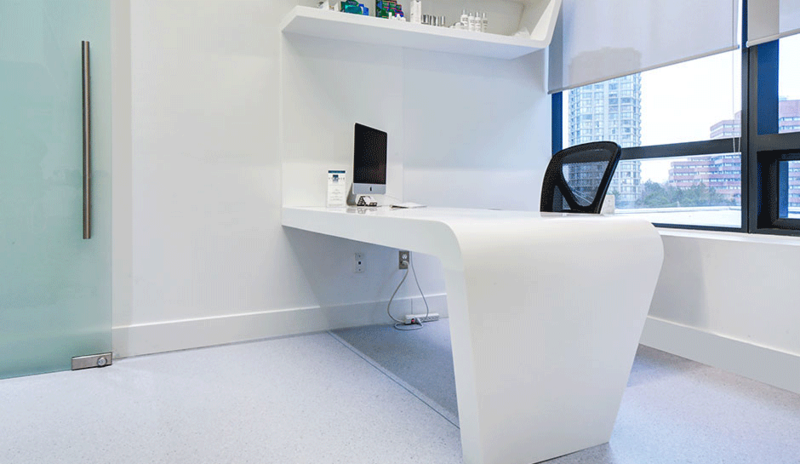 Not only is KRION® ideal in homes and commercial applications but it’s also perfect in the healthcare and hospitality industries due to its absence of porousness and the anti-bacterial qualities of its surface. 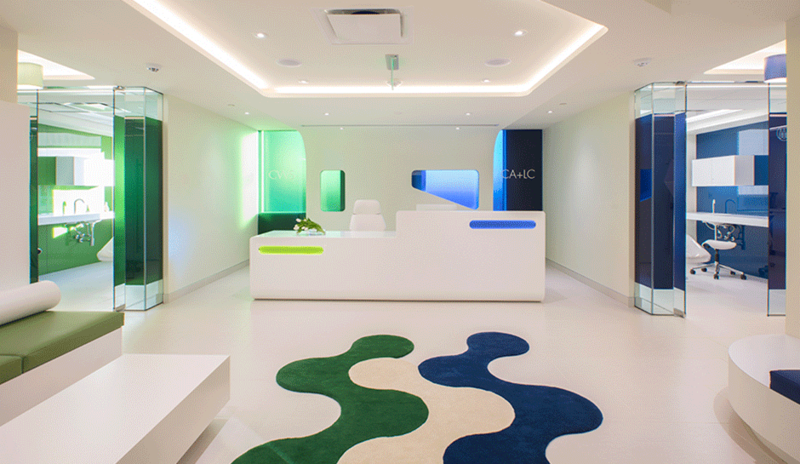 KRION® can also be used to create benches, display shelves, tables, reception desks, and more.